Keeping your home tidy without losing style, the set of 2 metal storage trunks will make a welcome addition to any dÃƒÂ©cor. 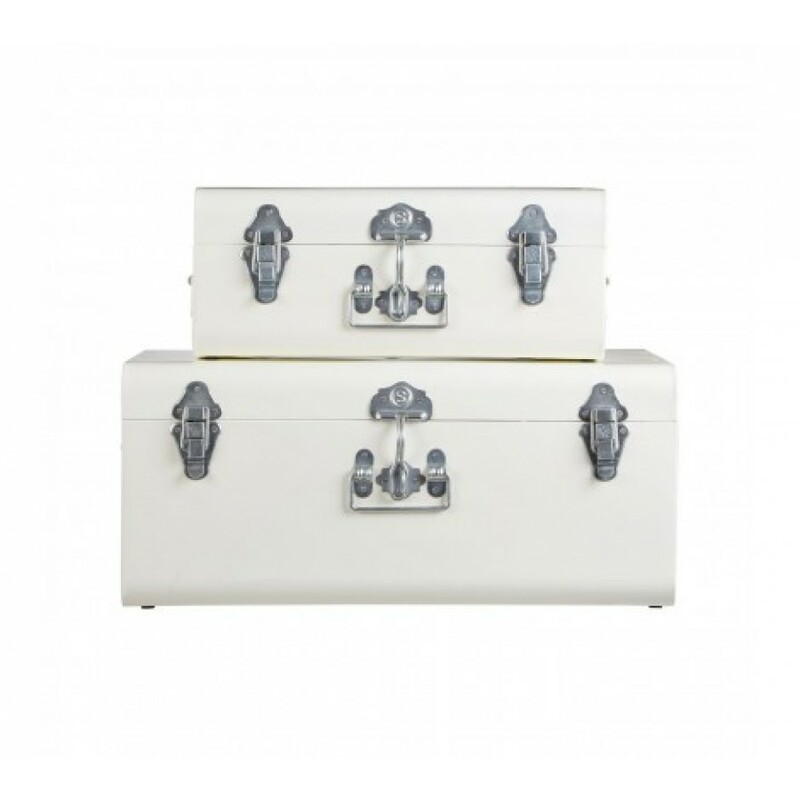 The two trunks, 1 x small and 1 x large are made from robust galvanised iron ensuring strength and durability, while the ivory colour finish adds a fresh, retro look to them. Chrome fastening clasps will help to keep your contents safely stored, while retaining the chic look. Two handles on the sides will make it easier for you to move them if required. Whether you place them in separate rooms or stack them on top of each other, the set of 2 storage trunks are perfect for keeping a organised and tidy home.